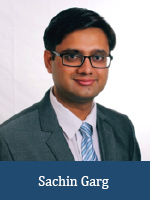 Sachin Garg is a member of the research team at OES participating on the ‘first global assessment on the current state of organizational excellence’ that was launched by the OETC and has been supported by the GBN, ISO/TC 176 and International Academy for Quality. He has 18 years of work experience in promoting and leading quality & business excellence movement across service and manufacturing sectors with leading corporates such as Tata Group, Max India Group, HCL Technologies and Inter Globe Group. Sachin currently works with Tata Group as Group Head – Strategy, Business Excellence and Technical Training, Tata Housing Development Co. Ltd. Mumbai, as a part of Executive Management Team. Sachin has completed his Masters in Total Quality Management, ASQ CMQ/OE and Master Black Belt certifications and conducted 25 Baldridge and EFQM criteria based assessments in India. He received the World Quality Leadership Award 2015 to recognize his efforts in building quality journey across three different companies. He promotes quality and business excellence through his board member positions in the National Accreditation Board for Certification Bodies, Indian Merchant Chambers and ASQ Quality Management Division, as India Executive Director.